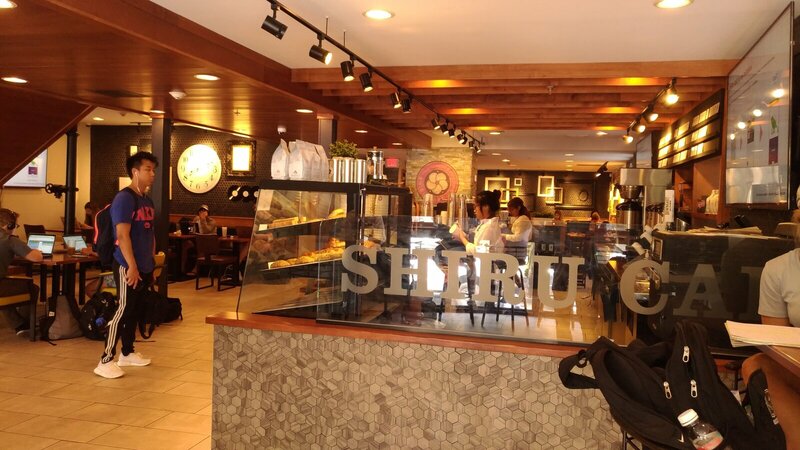 At Shiru Cafe in Providence, R.I., students “pay” for coffee, but not with money. Shiru Cafe looks like a regular coffee shop. Inside, machines whir, baristas dispense caffeine and customers hammer away on laptops. But all of the customers are students, and there’s a reason for that. At Shiru Cafe, no college ID means no caffeine. “We definitely have some people that walk in off the street that are a little confused and a little taken aback when we can’t sell them any coffee,” said Sarah Ferris, assistant manager at the Shiru Cafe branch in Providence, R.I., located near Brown University. Ferris will turn away customers if they’re not college students or faculty members. The cafe allows professors to pay, but students have something else the shop wants: their personal information. To get the free coffee, university students must give away their names, phone numbers, email addresses and majors, or in Brown’s lingo, concentrations. Students also provide dates of birth and professional interests, entering all of the information in an online form. By doing so, the students also open themselves up to receiving information from corporate sponsors who pay the cafe to reach its clientele through logos, apps, digital advertisements on screens in stores and on mobile devices, signs, surveys and even baristas.